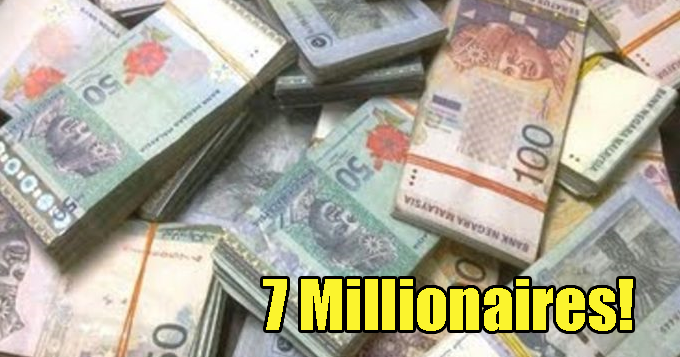 These 7 Lucky Malaysians Just Became Instant Millionaires Overnight! Most of us dream of becoming a millionaire overnight and for these seven people, their dreams actually came true! 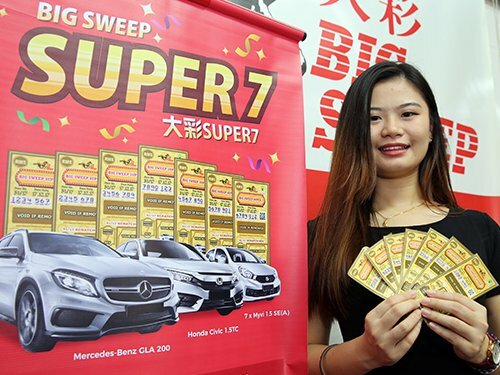 The new Big Sweep Super 7 lottery just opened yesterday, December 17, and seven lucky people from various states in Malaysia won RM1 million in the draw. Wow! Check these numbers out to see are you the lucky winner! According to Oriental Daily, the draw took place at the Perak Turf Club and they also announced several other lucky winners. The second prize was RM100,000 and the third prize winners got RM10,000 for each ticket purchased. In addition, Big Sweep gave bonus prizes of seven Perodua Myvis as well. One Honda Civic and another Mercedes GLA200 were also waiting for their new owners. Wish I was one of them! 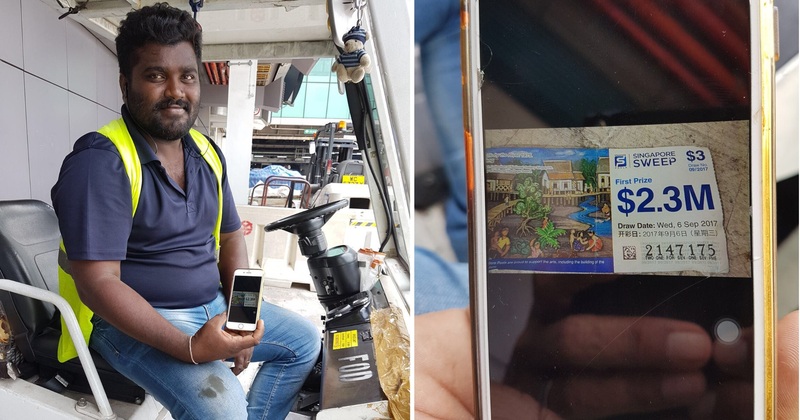 Apparently, there was one really lucky fellow whose number, 4001094, came up twice in the draw, once for the RM3,000 prize and another for the RM1,000 prize. Unfortunately not lucky enough for the grand prize! Big Sweep had started selling this Super 7 lottery since September 23 and the next round will start selling again on January 2 next year, where the draw will be done on March 11. 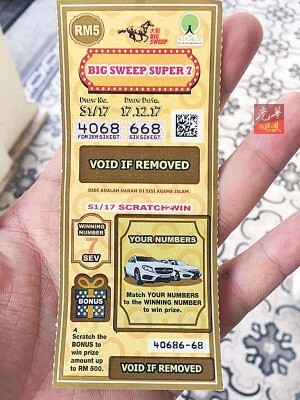 However, Big Sweep said that for the second phase, they would be introducing lottery tickets with “scratch and win” so customers would have to scratch and then check the back of the ticket for more information. Big Sweep also mentioned that they would donate the surplus amount of money to Yu Cai Foundation to fund Chinese schools such as giving scholarships to students, buying equipment and hiring teachers. Meanwhile, we’re just sitting here, daydreaming about all that money!